PRAYER PROMPT ••• I’m super excited today! After church, I’m going to lunch to meet my prayer partner for the first time. 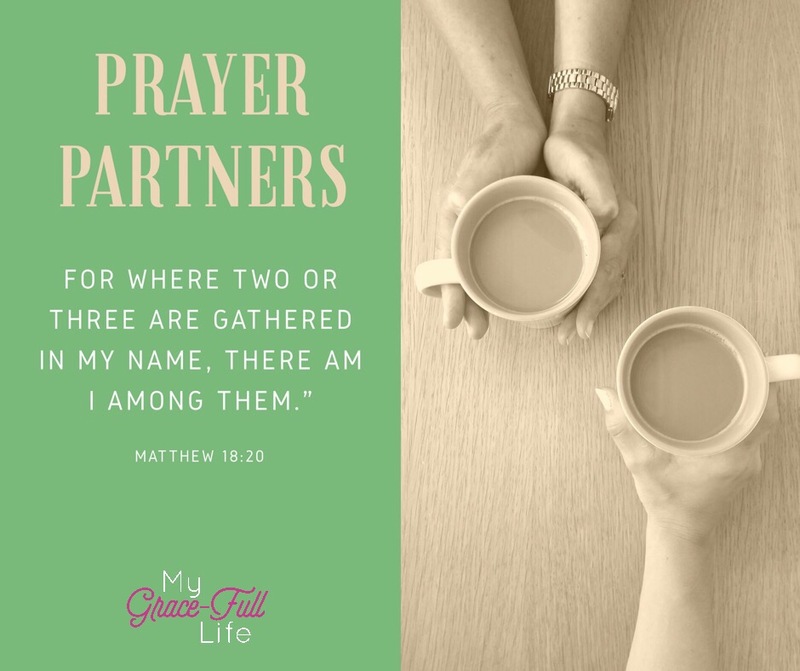 Sandra and I will attend Proverbs 31 Ministries’ She Speaks conference this month and Proverbs 31 introduced us so we could know someone before the conference and pray together. For the last month, Sandra and I have been exchanging emails and praying. In Sandra, not only have I found a friend, but a woman who is a godly example of faith and trust; a woman who knows (and embraces) the power of prayer. I can’t wait to give her a hug and pray with her in person! Through this experience, I’ve learned the value of a prayer partner. My friends and I often share prayer requests with each other, but somehow, this has been different. For one thing, this friendship is built on the promise of prayer. Every email we’ve shared has included a prayer for one another, so it’s put God at the center of our friendship. I am excited to make a prayer partner commitment with my other friends too! The best gift you can give a friend is your promise of prayer. Today, as you pray, ask God to help you find a trusted and godly person with whom you can pray. If you already have such a person in your life, ask God to give you an opportunity to deepen that friendship through a prayer partner commitment. And I ask for your prayers for Sandra and me as we prepare for the conference. Moreover, I hope you know… every morning, I pray for you who read My Grace-Full Life.